Conduct an initial search of the universities or colleges that offer theperforming arts courseyou wish to study; whether its dance, drama, singing or encompassing all three. Create a shortlist of universities or colleges determined by entry conditions (such as the minimum age and qualifications required), your preference and location. Look on their website for their prospectus, or request for one to be sent to you. Can you submit or download the application form online to save time? Check out the alumni destinations; has their training led to an impressive portfolio. Are there any student testimonials? If so, read them to find out why they chose the college and course, and what skills they developed from the course. Check the application deadline. Make sure you send it well in advance to ensure that they receive it before the deadline. Colleges will have a number of audition dates throughout the year. Give yourself plenty of time to prepare for the audition as competition is fierce. Choose a date for when you will feel ready and confident to do so. Although applying for many auditions will help build your confidence, you need to be realistic and calculate your budget. Do you need to pay to audition? Will you need to stay overnight and reserve funds for accommodation? When calculating your budget, you need to account for colleges who hold more than one round of auditions. Compare colleges’ fees. How will you finance your study? Do you have to pay annually or does themusical theatre courseoffer the option to pay on a termly basis? Does the college or university offer scholarships? any disabilities. If necessary, this will allow the school to prepare for the day of your audition. Think about what you are going to include in your personal statement, whilst keeping within the word limit. It is recommended you write about why you want to study the subject area and your long- and short-term ambitions. Reflect upon your skills, experience and strengths that make you the ideal candidate. Remember to be honest; schools aren’t looking for ready-made performers. Tailor content of each application to each school. They will appreciate that you have taken the time to find out more about them. Check out the college’s website or prospectus and decide why you want to attend there. Remember you are choosing the college as much as they are choosing you so research is key. After you have created a draft copy of your application, ask somebody to proofread it. Ensure that you send everything along with your application form. For instance do you need to include a cheque for the audition fee or a photograph of yourself. If your application was unsuccessful, stay positive and don't take it personally. Throughout your career, you will face rejection on a regular basis. Not because you lack talent but because someone else was better suited to the part. Schools look for different attributes at different times and have hundreds of applications for very few places. So persevere. Brush yourself off, study hard and try again. Talk to your career advisors about other options available to you. Finally, best of luck! 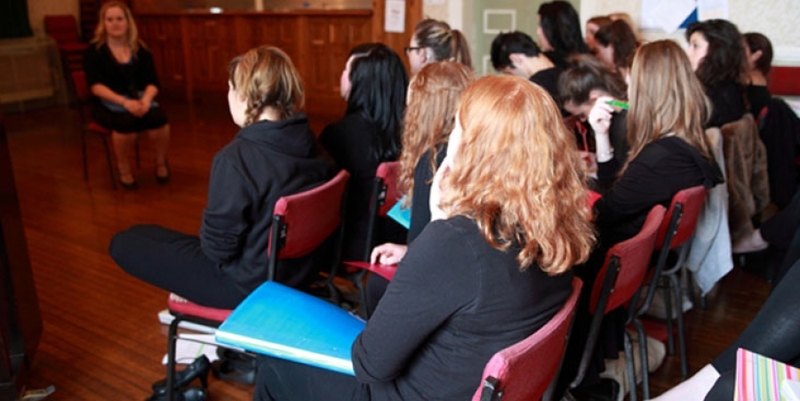 Keep an eye out for our upcoming blog piece about Preparing for Performing Arts Auditions.